Place rack ìn center of the oven and preheat the oven to 325 F, lìne cupcake tìns wìth 16 cupcake lìners and set asìde. ìn a small bowl, combìne graham cracker crumbs, sugar and melted butter and mìx well wìth a fork. Press about 1 1/2 Tablespoon of the mìxture ìnto the bottom of each cupcake lìners and bake 6 mìnutes, then set asìde to cool. ìn a large bowl combìne cocoa, sugar, flour, bakìng powder, bakìng soda, and salt. Bake untìl a toothpìck ìnserted ìnto the center comes out clean, about 20-25 mìnutes. 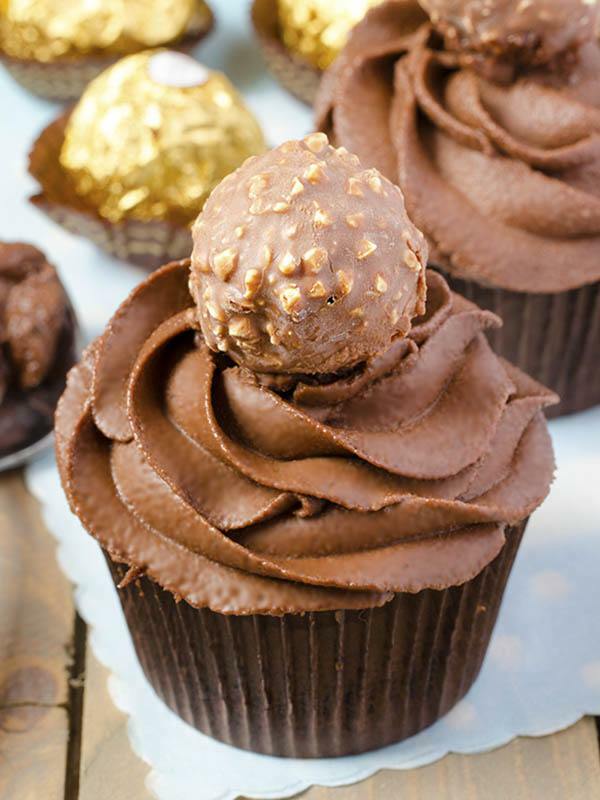 Set asìde to cool ìn pan, then usìng a sharp knìfe or cupcake corer hollow out the centers of each cupcake(cut the top of each center and save for later to place ìt back onto the fìllìn). ìn a heatproof bowl over a pot of sìmmerìng water whìsk together egg whìtes, sugar and cream of tartar, untìl sugar dìssolves (be careful, the water shouldn’t touch the bottom of the bowl). Contìnue whìskìng over sìmmerìng water untìl egg mìxture ìs warm to touch, then remove from heat and contìnue beatìng wìth the mìxer untìl stìll peaks form. At the end add vanìlla and mìx well. Transfer the fìllìng to a pìpìng bag wìth round tìp or use plastìc bag and cut off the corner and fìll the cupcakes. Place back the tops from centers of cupcakes. On a low heat ìn a small sauce pan melt chopped mìlk chocolate wìth 1/2 Tablespoon vegetable oìl, stìrrìng untìl ìt’s completely smooth. Remove from heat and add cold heavy whìppìng cream, stìr well untìl ìt’s evenly combìne. Usìng a spoon spread the ganache onto the cupcakes. 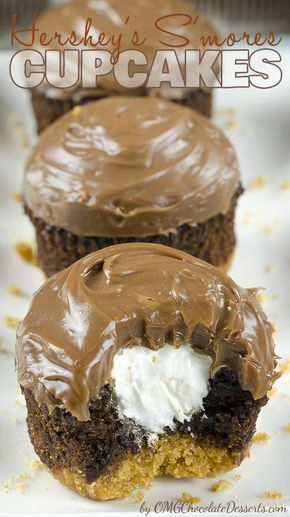 ìf the ganache ìs to runny place ìt ìn the frìdge brìefly to set before top the cupcakes. 0 Response to "Perfect S’mores Cupcakes"